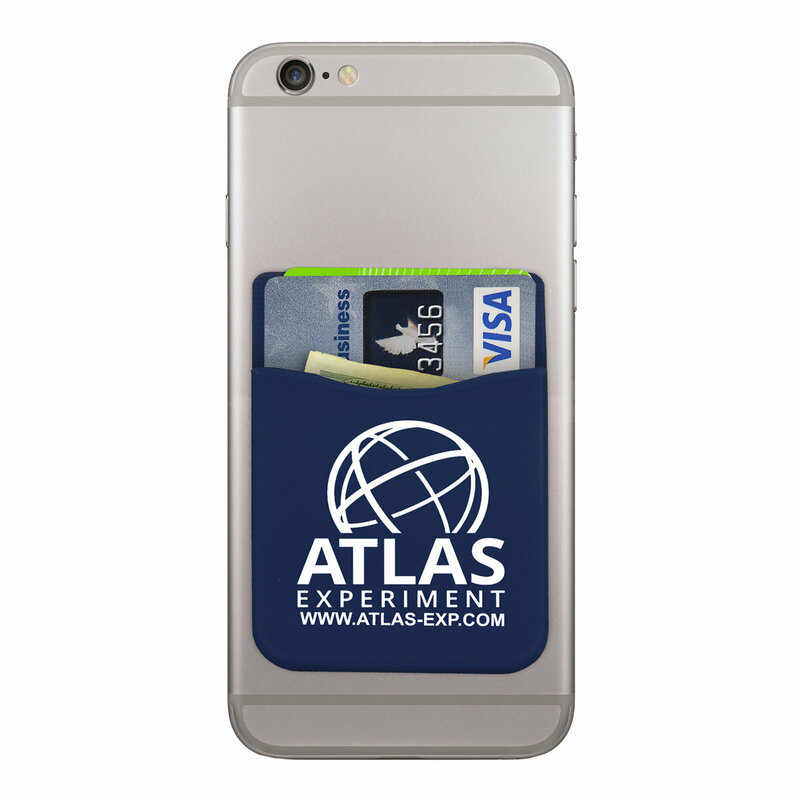 The Soft Silicone Cell Phone Wallet has a real 3M adhesive backing. It securely holds 2-3 credit cards, a driver’s license, money, business cards, hotel room keycard and more. It also makes your phone easier to grip. It includes an instruction and explanation sheet enclosed. *Note: Silicone items are difficult to imprint and require specially formulated inks. Therefore, the Available Imprint Colors listed are only approximated to the PMS color shown and cannot be guaranteed to be an exact color. Some adhesive residue may remain on some phone surfaces/covers if removed. Available Imprint Colors*: Black, Brown 161, Burgundy 195, Charcoal 430, Forest Green 342, Green 347, Gray 428, Pink 225, Process Blue, Reflex Blue, Navy Blue 281, Yellow 110, Red 186, Teal 320, & White. Pre Production Proof: Domestic Item: $45.00. Production Time: 2-3 Days. If revisions are made to any Pre Production proofs, a new pre production proof charge that includes any additional art, die or screen charges will apply.